Ceylon became a dominion within the Commonwealth in 1948, and a British high commission was established in Colombo in that year. In 1972, the country became a republic within the Commonwealth, and changed its name to Sri Lanka. 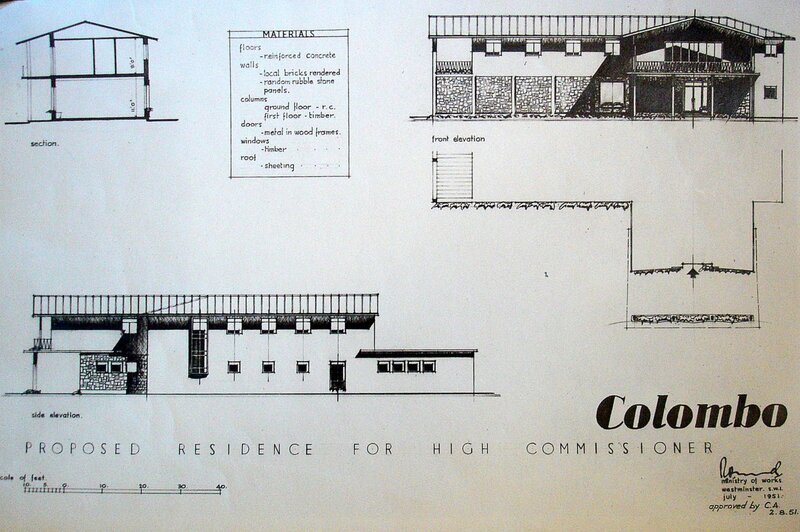 Given the acute shortage of suitable accommodation in Colombo in 1948, the Ministry of Works and the Commonwealth Relations Office concluded that, until new buildings could be constructed, accommodation would have to be leased from the Ceylon government. With its help, premises were found for the offices and, for the residence, it agreed to put one of its scarce official bungalows, called Four Furlongs, at the disposal of the British high commissioner, provided that the British government did not delay in building a new residence. 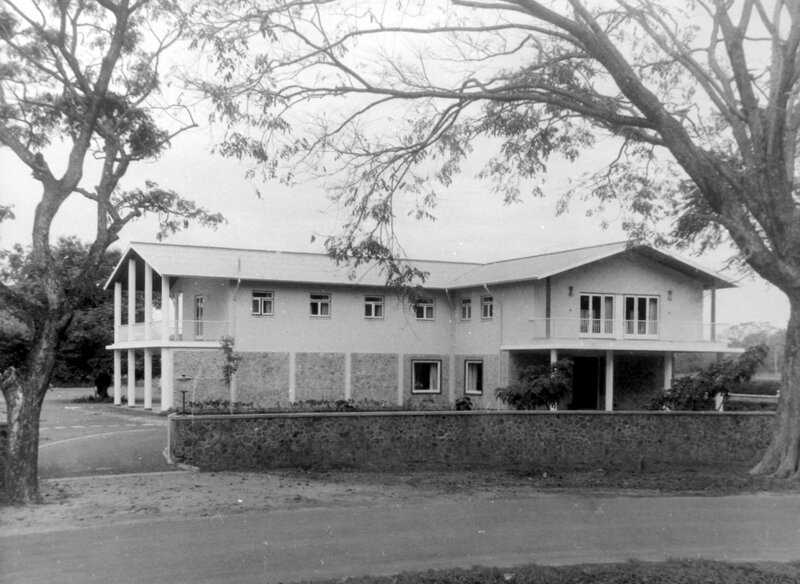 It was not, however, until March 1950 that the Ceylon government formally offered a site for the new residence: half a hectare on a 99-year lease at 114 MacCarthy Road (now Wijerama Mawatha), part of Crown lands in Cinnamon Gardens. The lease was not signed until March 1952. Meanwhile, the Post, the Ministry of Works office in New Delhi and departments in London argued about the schedule of accommodation for the new residence, especially about the extent of air-conditioning to be provided. This was only the second new residence (the first was Canberra) to be designed and built since the Second World War and all parties were feeling their way forward, partly in expectation of it becoming the model for new residences elsewhere. Sketch planning, entirely in-house, eventually started in mid-1951, by which time the Ceylon government was pressing hard for the return of Four Furlongs. Two tenders were returned in mid-1952: the lower was for £73,000, against an estimate of £40,000. The Ministry of Works concluded that, with some paring of the planning and specification, it could build the house itself with directly employed labour for £53,500, and the Treasury approved the house on this basis. 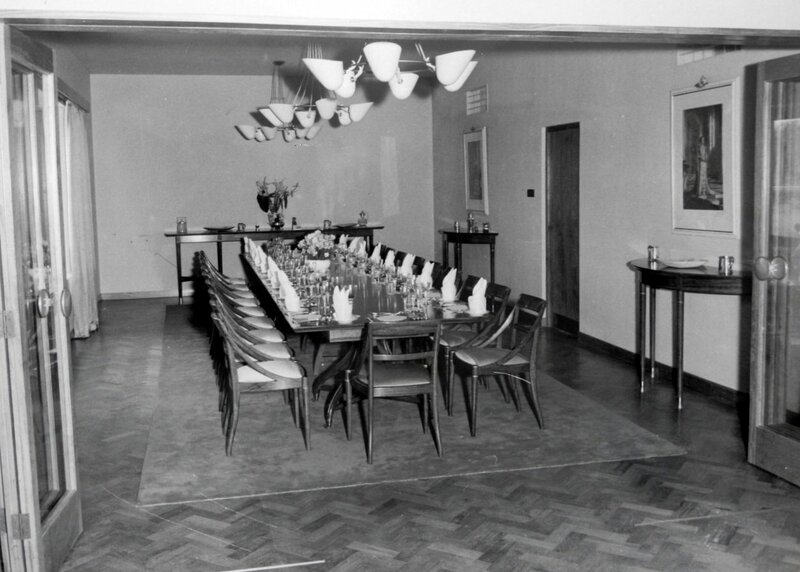 It started on site in July 1952 and was occupied in March 1954. William (Bill) Silcock was the clerk of works, with enhanced managerial responsibilities for the direct labour. Most of the furniture for the ground floor was designed, in what was self-consciously called a contemporary style, by Dennis Lennon. The residence was named Westminster House, in preference to Whitehall or Windsor Lodge. The final cost was £53,795, plus £12,000 for furnishings and equipment. 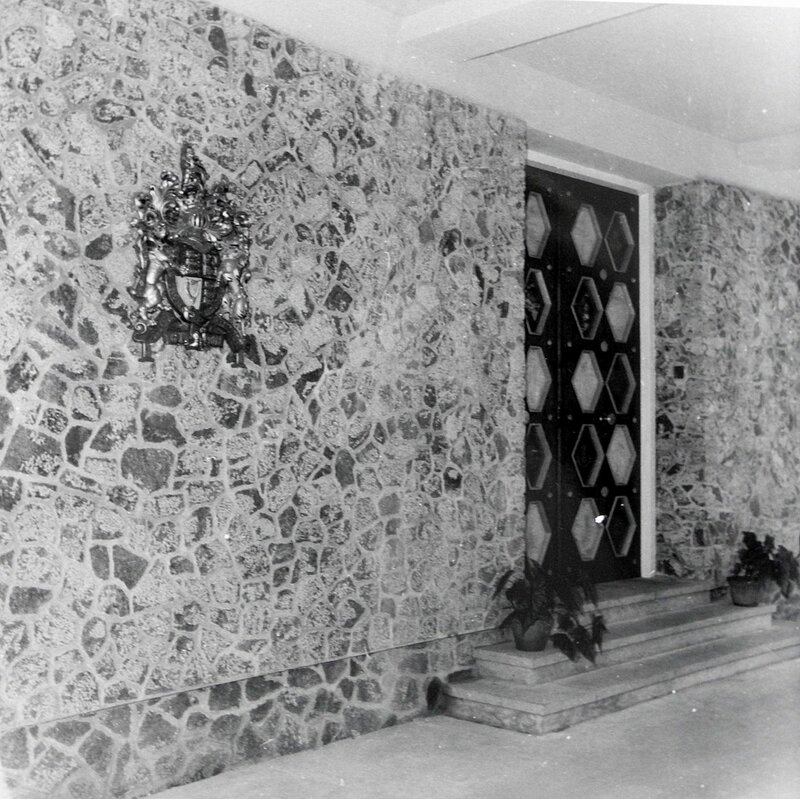 The residence, without the original furniture, remains in use. The design was not, however, used anywhere else. Drawing of proposed residence, 1951. 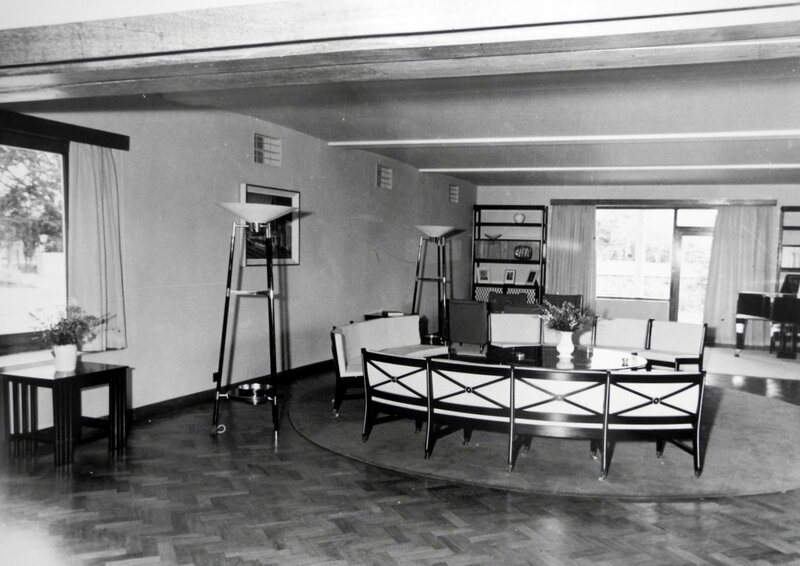 Part of the drawing room, showing Dennis Lennon seating, 1954. The 1957 agreement between the British and Ceylon governments about the withdrawal of UK defence forces and the transfer of bases excluded several minor sites that were to remain available to the British government. These included the Royal Air Force site at Colpetty on Galle Road, which fronted the sea just south of the fort and Mount Lavinia, and three long-leased houses, Trenchard on McCarthy Road and Nile and Camperdown on Gregory’s Road. Lots 1-14 and 16-29 of the Colpetty site were transferred free by the War Department to the Ministry of Works in 1961 as the site on which new high commission offices would be built: Lot 15, for some curious reason, was bought the following year. The whole site comprised 1.6 hectares, on which stood two houses. Coolgardie and Steuart Lodge. Coolgardie was demolished to make way for the new building and Steuart Lodge was in due course licensed to the British Council and eventually sold in the late 1980s [to whom?]. 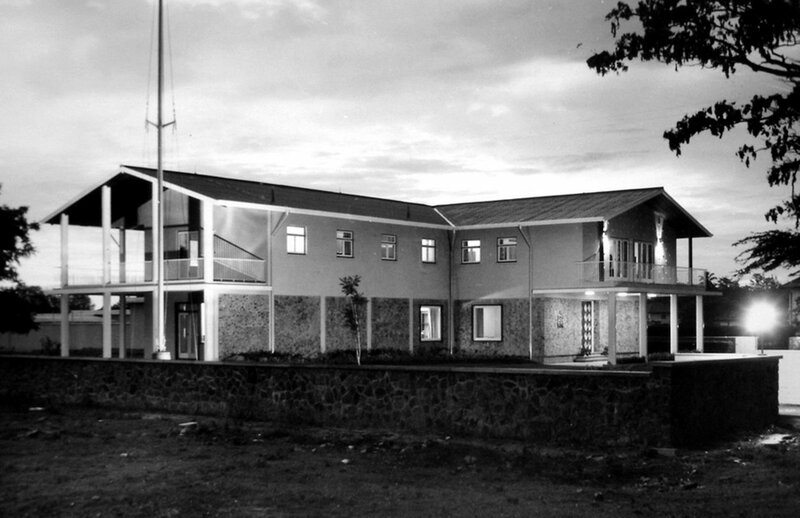 The new offices were designed in-house in the Ministry of Works by a team led by senior architect Charles Kidby. It was a six-storey rectangular block that lay in the middle of the site, parallel to the beach, with ancillary one-storey buildings beside it, including some flats, transport yard, club and amenities. A former heavy gun emplacement was used as workshops and storage. For the same economic and commercial reasons as applied to the building of the residence ten years previously, direct labour was employed for the office building, and Bill Silcock returned, having recently been appointed MBE for his success with such contracts, as the managing clerk of works. 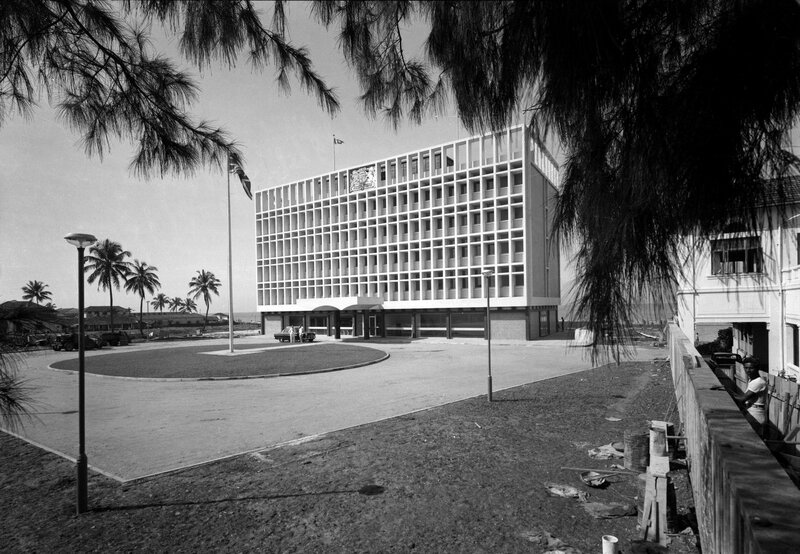 Construction started in April 1963, when a foundation stone was laid by the high commissioner, Sir Michael Walker: he also opened the building in January 1966, on his way to his next posting (at Kuala Lumpur). 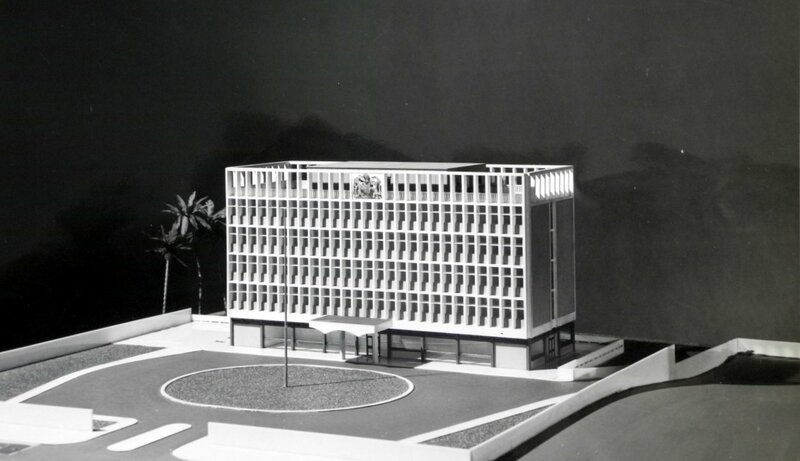 Model of proposed new offices, 1962. By the end of the 1990s, the offices were becoming worn out and a major decision was required on whether to refurbish them or move elsewhere. Given that the building was by then larger than required and that it was difficult to defend against physical security threats, the decision was taken in principle to move and a search for a new site put in hand. It resulted in the successful acquisition of the site at 389 Bauddhaloka Mawatha, adjacent to the residence. 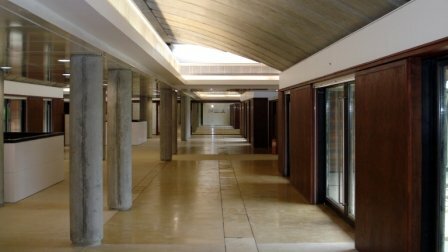 After a design selection exercise in 2001, the Edinburgh architectural practice of Richard Murphy Associates was commissioned to design the new offices, collaborating with the local architectural practice Milroy Perera. 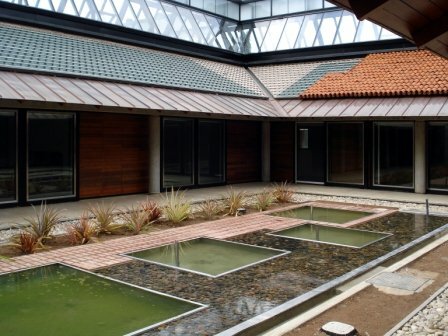 The building is entirely single storey, with a central spine down the middle of the site and four legs leading off it on either side in a staggered arrangement, creating between them a series of differently handled courtyards. These, and the extensive use of water, successfully reflect aspects of traditional Sri Lankan architecture. 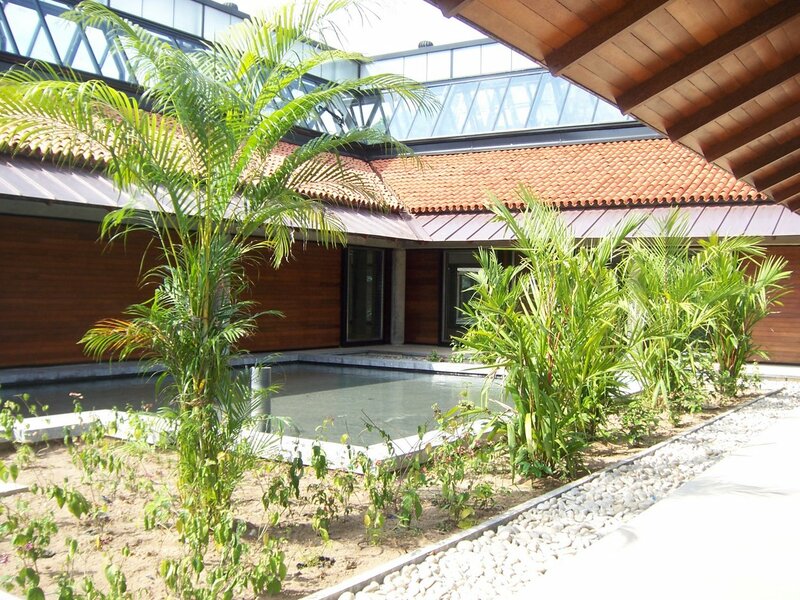 The building has great flexibility in its planning and environmental use, and is well protected. It was opened in 2008. Street view of new offices, 2008. 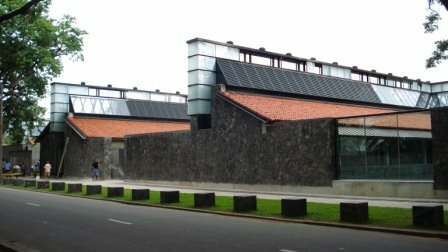 One of the courtyards, 2008.